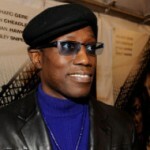 (CNN) — Actor Wesley Snipes reported to a medium-security Pennsylvania prison Thursday to begin a three-year sentence for failing to file tax returns. The 48-year-old actor is now incarcerated in McKean Federal Correctional Institution in Lewis Run, officials said. Snipes’ attorney said he is appealing his client’s misdemeanor convictions for not filing tax returns in 1999, 2000 and 2001. 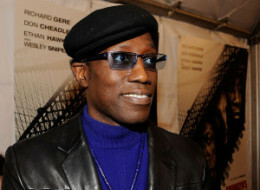 Snipes was acquitted of felony charges. Snipes is nervous, he said, but hopeful that his prayers will be answered. “We still have prayers out there. We still believe in miracles. So don’t send me up the river yet,” Snipes said in an interview on CNN’s “Larry King Live” Tuesday night. The actor conceded he was uneasy about losing his freedom if his appeal to the U.S. Supreme Court fails. Prosecutors said Snipes earned $40 million since 1999 but had filed no returns and had been involved in a tax resisters group. Snipes disputed such involvement and said that the failure to file was his advisers’ fault. In February, a jury convicted Snipes on the misdemeanor charges, but he was acquitted of more serious felony charges of tax fraud and conspiracy. Jurors accepted his argument that he was innocently duped by errant tax advisers. Defense attorneys in court documents suggested that to sentence Snipes harshly would be to disregard the jury’s verdict. One juror, Frank Tuttle, gave Larry King Live a written statement that three other jurors had made up their mind that Snipes was guilty before the trial began. The jury’s verdict was a compromise between those jurors who thought Snipes was guilty and those who didn’t, Tuttle said in the statement. Snipes’ attorney, Daniel R. Meachum, said neither he nor Snipes had any involvement in preparing that juror’s statement to Larry King Live, saying the show’s producers obtained it on their own. “We on the defense team never suggested that the media reach out to any of the jurors,” Meachum said. Snipes contended that some media accounts of his trial have distorted public perceptions. Snipes said he has paid his taxes. “They claimed that there was a certain number that was owed and that number has been all over that place. The press has escalated it and changed it a number of times. But we think we are fully compliant with what was owed,” Snipes said. CNN’s Jessica Thill contributed to this story.